The desert is downright amazing when it bursts with color – especially when it comes to Tucson homes. 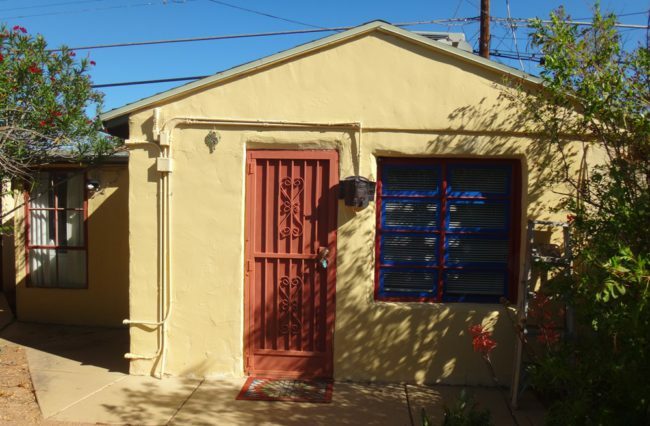 Check out the before and after version of this charming guest house in the historic Blenman-Elm neighborhood. The home’s owner had long wanted to add a darling touch to the darling abode, and a pop of La Casita whimsy and color did it. This project was tons of fun, and, as the owner said: “Transformed a Saltine-boring house into a spicy jalapeno” (or something cool to that effect). 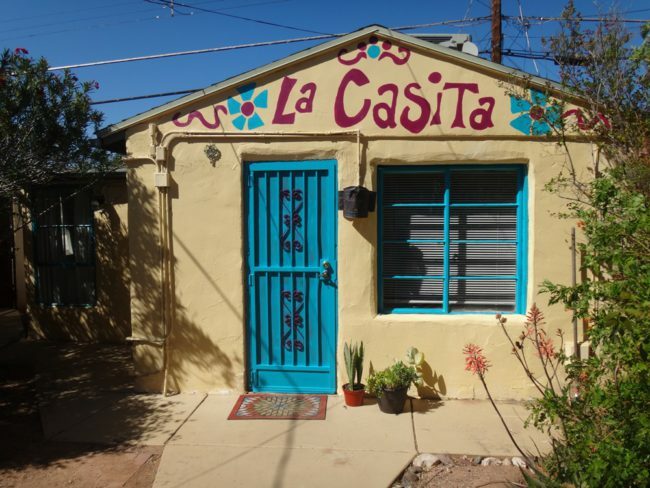 Email ryngargulinski@hotmail.com for more details on custom home detailing or renting La Casita.